A gallery devoted to our photography of Connecticut. 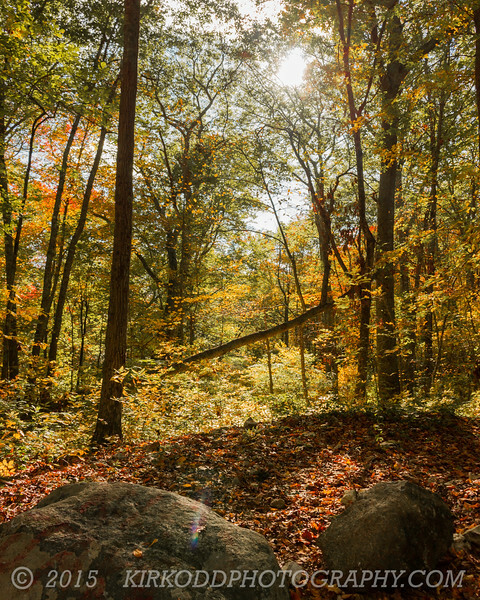 Lantern Hill trail in North Stonington, CT offers a moderately challenging hike up to the top of Lantern Hill. The eventual breathtaking view of Lantern Hill Pond and the surrounding landscape is well worth it. In addition, the trail offers many nice views along the way. Here, the sun illuminates a small clearing between trees. The early morning light was perfect for illuminating the translucent leaves. We named this piece Lightplay due to the wonderful patterns of bright and dark that were cast upon the leaf-strewn forest floor.